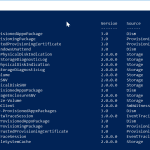 Why PowerShell create user directory script? 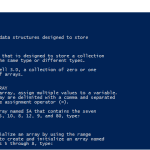 This PowerShell script creates a home folder for all users in AD and configures folder permision to ensure that a user can only be accessed by the user. Click Sharing tab , and then click Advanced Sharing. Check the box Share this folder, then below Share name, click Add. Share the folder as Users$ (Hidden share) – Ensures that if a user browses to \\servername, this share is hidden. Click Permissions and ensure that the share permission is configured as shown below: Everyone: FULL CONTROL. This entry was posted in PowerShell Scripting, Powershell Scripts, Sample Scripts and tagged Active Directory, Active Directory User Accounts, home folder, personal folder, powershell, User Permissions.